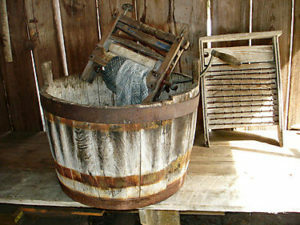 One day poor widow Reagan, who was a washerwoman, was hard at work over her tubs. As she scrubbed away at the clothes, she got to thinking about her many troubles, until one after another the tears were falling into the soap suds; but still she kept on with her work. Nobody was near to see her sorrow, but her little boy Jack, about five years old, who was playing with his blocks on the floor. He looked at his mother a moment, surprised to see her weeping, and then under the influence of his love and pity, he pushed a chair up to the washbench, climbed up on it, put his rosy, laughing face close by his mother’s sad one, and throwing his arms round her neck kissed her kindly. It made a pretty picture. I suppose the good minister probably told the story of the widow’s tears, and her boy’s smiles, for after that, Jack was always spoken of in the village by the name of “Rainbow Reagan” and he proved by his conduct to his mother, that he well deserved that name. Here we see what a blessing Jack was, by making sunshine in that home, which would otherwise have been made gloomy and sad by the tears of sorrow.